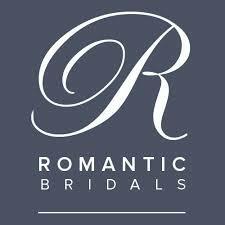 Selecting a bridal bouquet is one of the best opportunities for brides to express themselves on their wedding day! 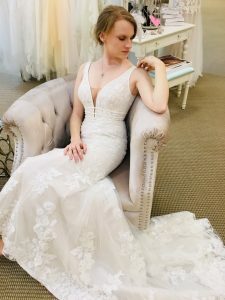 The tradition of carrying bouquets down the aisle originated long ago, when it was believed that holding a collection of fragrant herbs, flowers and spices would ward off bad luck and also mask body odors in a time when people bathed just once a year. 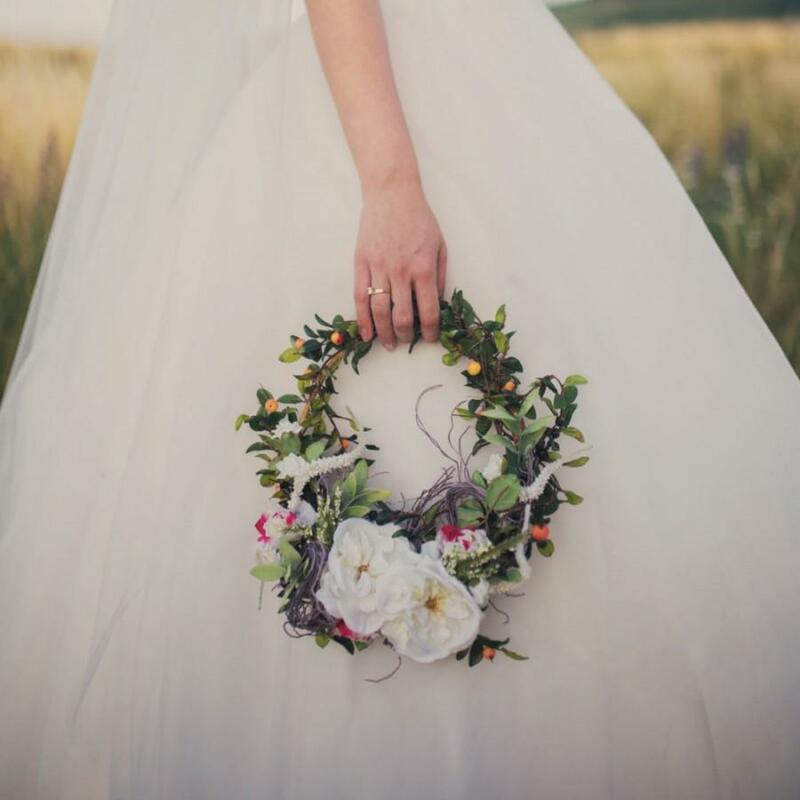 The style of the blooms was not considered important until Roman times, when both bride and groom wore lush garlands of greenery, flowers and spices to increase their fertility and fortune. 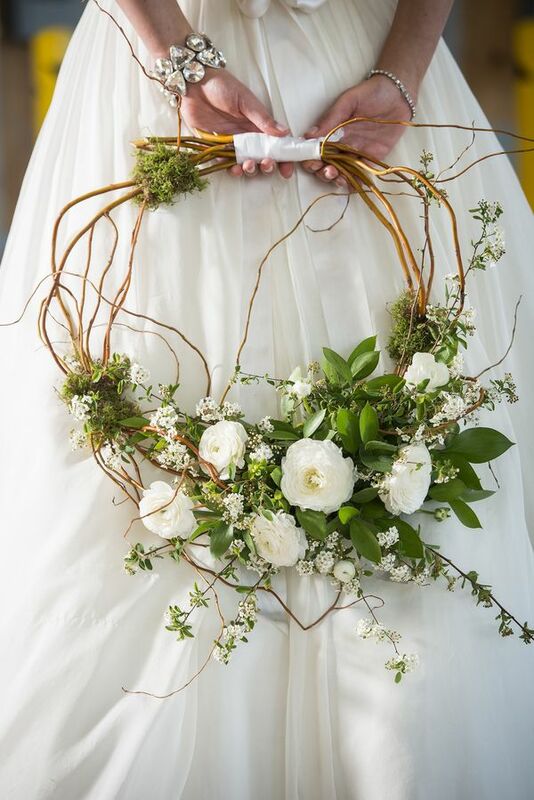 In time bouquets came to symbolize a bride in bloom without any heavier meaning. 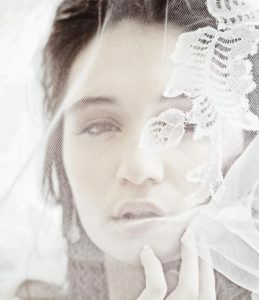 Nowadays brides just want to hold something that speaks to their hearts and compliments the style of their happy day. 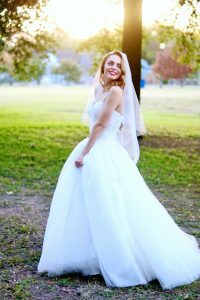 If said bride wants something unique and different then we have several non-traditional bouquet suggestions. These can be much longer lasting than floral bouquets, more affordable and perfect for a DIY bride. 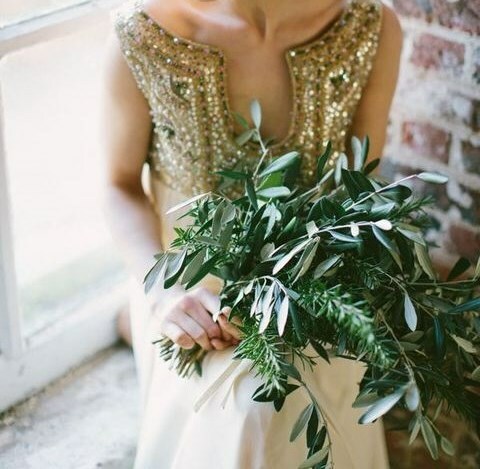 We think that the wreath-as-a-bouquet trend is so adorable. This fresh and fun idea works down the aisle and then can even be re-purposed as decor at the reception. How cute would this be hung at the front of the bride and groom table? 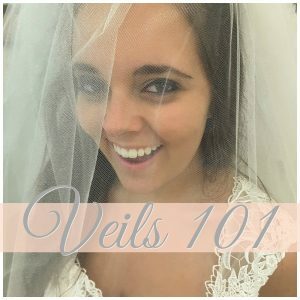 Great for DIY brides and rustic themes alike. Succulents have been popular for a few years and they are still going strong. 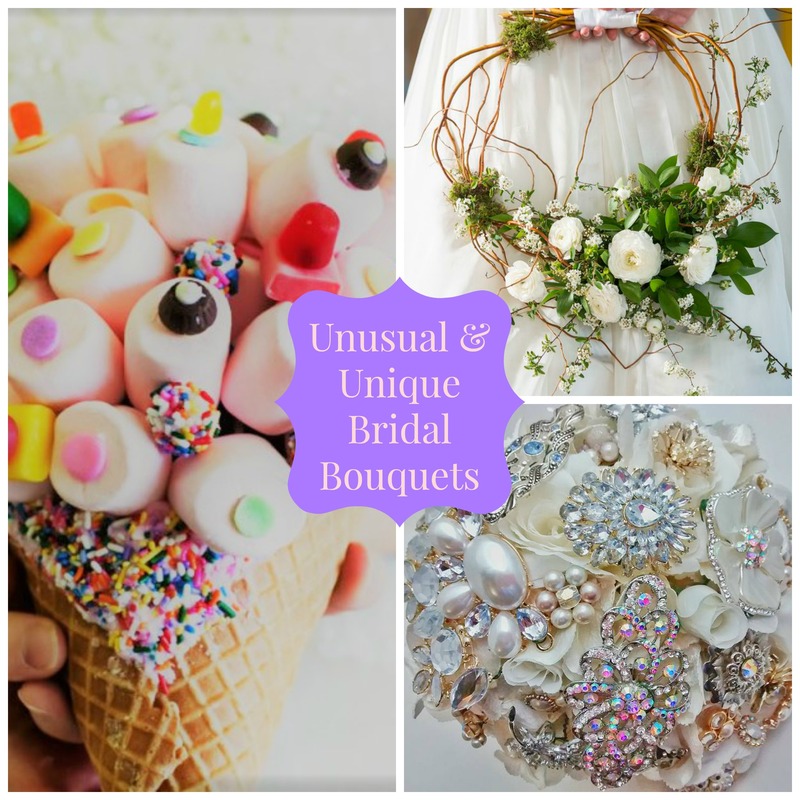 They make lush and beautiful unexpected bridal bouquets. 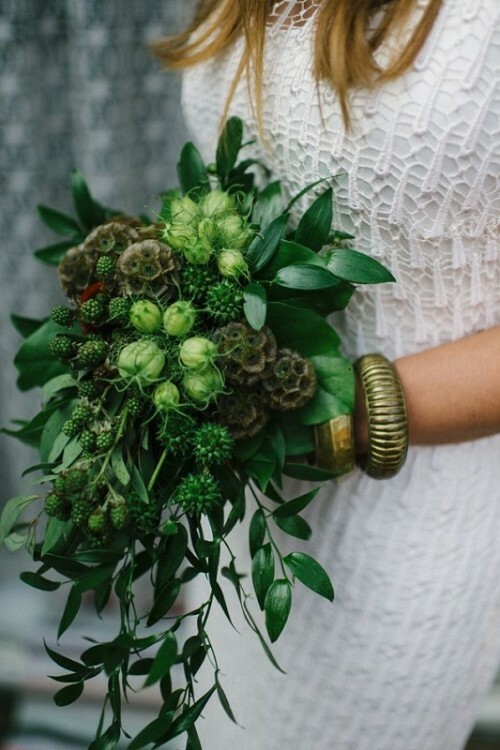 Carrying a handful of greenery is a refreshing alternative to an ordinary floral bouquet. Paper flowers are popular trend for weddings due to their durability, beauty and uniqueness. Many brides are choosing paper flowers for their wedding bouquets to save money and to have a lasting keepsake from their special day. A beautiful tutorial on Ruffled’s blog by paper flower maven Rachael at Appetite Paper is here. Her flowers are so realistic, lovely and inspiring. 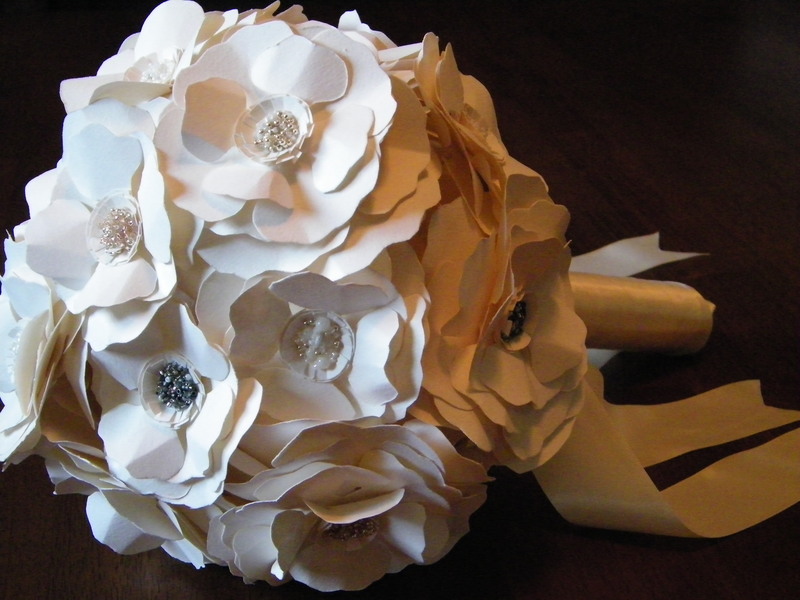 Christina Norris Designs offers up her fetching take on paper bouquets here. We adore brooch bouquets which can be made from heirloom or family pieces. 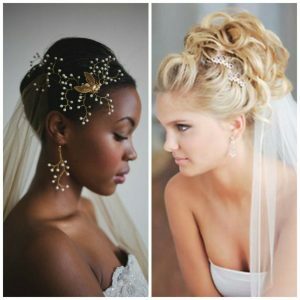 Grandmother’s brooch and Aunt Edna’s earrings incorporated into your bouquet can be a reminder of the love you have for your family as you walk down the aisle. These are not only stunningly beautiful but they are also long-lasting. Interested in having a custom bouquet made? 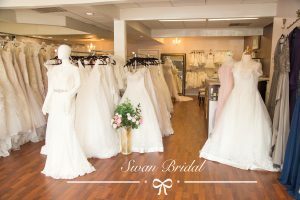 We suggest Sarah Brobst of Sarah Brobst Designs, a talented artist with mad brooch bouquet skills. Her work starts at $150 and up. She can build a bouquet from your materials or source them herself. Sarah, is a self-described “one woman operation, filled with fun creativity and the drive to repurpose items of all sorts.” Her work is unreal, gorgeous, interesting, fun, and, well, see for yourselves…. An armload of lollipops makes another fun statement. So easy to make yourself and sure to put a smile on your guests faces as you pass them by. Children in attendance will surely be captivated! Cotton candy bouquets offer up a spun-sugar delightfulness and are great for saving money on flowers! 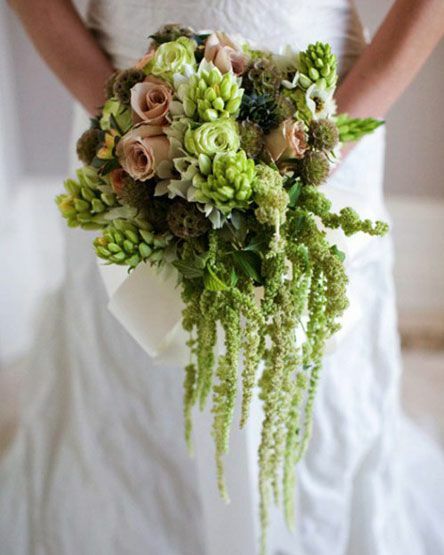 We would love to hear what kind of bouquet you are considering? Are you going with a traditional and beautiful floral bouquet, or are you considering something outside the box?